For coffee addicts – do not worry. We have engaged UP YORK – a local coffee shop to bring their skills, crema and machine to Clarendon. This is the best coffee in Launceston. *Drinks in the Garden: Flylife is hosting. Enjoy Drinks in the Garden on Saturday evening with the presenters and many other renowned fly fishers. It is a chance to talk, mingle and relax after a hard day. There is a small charge for drinks and this will go to the Fish Habitat Improvement Fund. In many ways ladies are better anglers. They are better listeners, don’t try and muscle everything and are great observers. If you fish now you can also book in for the casting tuneup (above). If you are beginning learn about the correct gear for you and how to choose it. This will be covered by Judith Oliver, Karen Brooks (https://www.driftwater.com.au/) and their team of lady helpers. They will run a Saturday session just for ladies. Start at 12 noon and run to 1pm. If you are either an absolute beginner or more advanced this is for you. It will be a lot of fun and you do not need any gear. It is FREE, but BOOKING IS ESSENTIAL and numbers are limited – email info@peterhayesflyfishing.com You must put ‘Expo Ladies Flyfishing’ in the subject line. Peter will send a confirmation. There will be many presenters and presentations. Most activities are free, apart from the ‘Drinks in the Garden’, Saturday after most activities are finished for the day. Of course, many presenters will be showing you the best of the brands they represent and are promoting them in their best interests. What is best of all is, you will be able to try many of these products first hand and maybe find something that suits you. Mostly there will NOT BE PRODUCTS FOR SALE. There will be some book bargains, art from Trevor Hawkins, amazing photos from Steven Ooi and food and drinks. An updated program will be available on entry. Proceeds from the Expo will be donated to Clarendon, National Trust (Tas) for the Australian Fly Fishing Museum and the Fish Habitat Trust Fund. 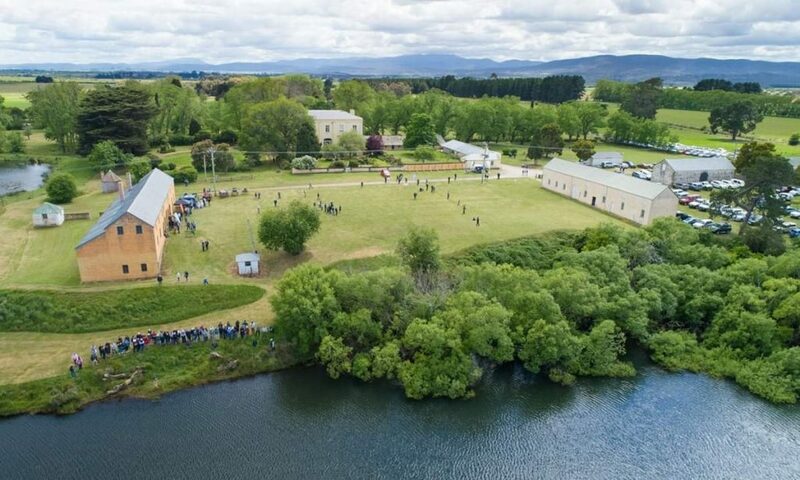 The biggest fly fishing gathering ever – the Tasmanian Fly Fishing Expo is being held at Clarendon – a grand property owned by the National Trust (Tas) on the South Esk River. Several international guests will share their vast knowledge – as will some of the Worlds best casters, a former World Champion, National Champion and more. 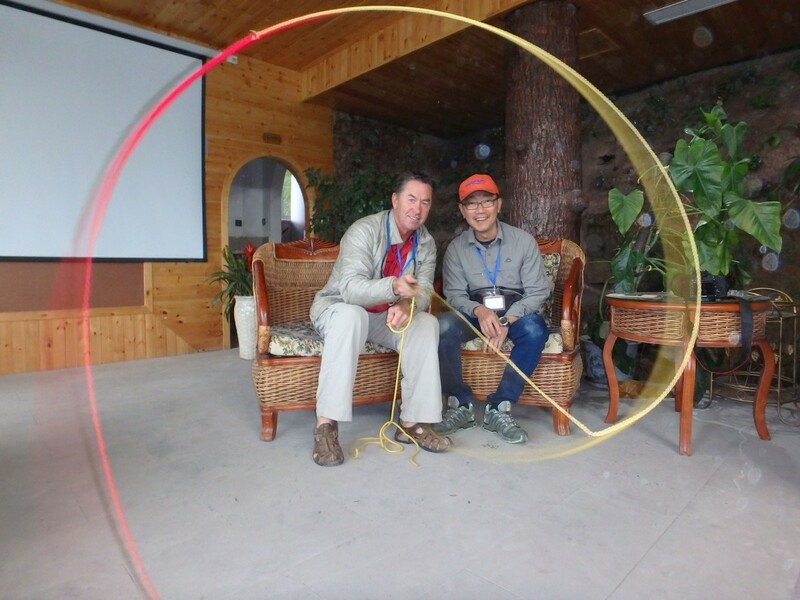 There will be many rods and lines to cast, casting games to play, gear to be won and demonstrations to see. 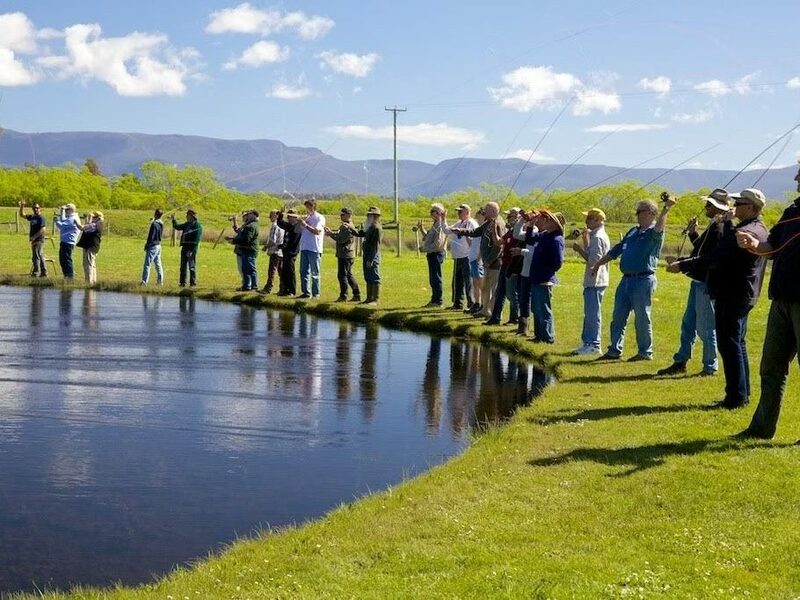 Whilst there is a small entry fee ($10) – which will be donated to the Australian Fly Fishing Museum, most activities are free*. Book and pay online and go in the draw to win a Sage Flyrod, reel and line combo. The Expo will utilize Clarendon and the grounds for a variety of activities, including forums, demonstrations, fly tying, casting and gear demonstrations. 10am – 10.45am: Casting tune-up with Peter Hayes* Booking essential. 10.45am – 11am: Distance casting tips with Peter Hayes. 11am – 2.30pm: Fly tying techniques with Ray Brown and Shane Broadby. 11am – 2.30pm: Fly tying demonstration with 12y.o. Kobi Lambert and Tino Pittiglio. 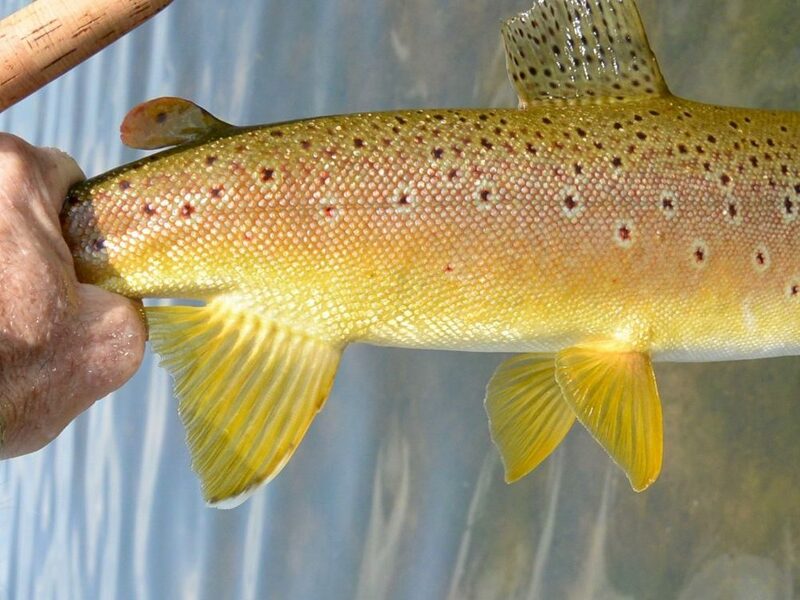 11am – 12 noon: Trout Spey – gear and techniques with Simon Gawesworth. 11am – 11.45am: Casting styles – What suits you – with Peter Morse. 12 Noon: Greg French – Why wilderness matters. And book signing until 2pm. 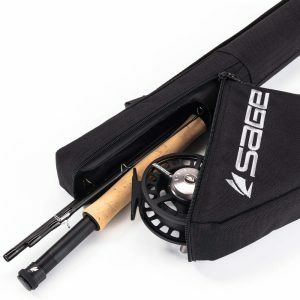 12 Noon – 2pm: WIN a Scott Fly Rod – Distance Casting Event. Feel the power of a Scott Radian and you could win the rod. No cost to enter and everyone that casts past 70’ goes in the draw. Longest distance gets a small trophy. 12.15pm – 12.45pm: The magic properties of Goretex with Rene Vaz. 1pm – 3pm: The RIO Olympics – a three event casting game. Do all three or just one. Prizes here. Good skills are not essential. 1.15pm – 2pm: Casting styles – What suits you – with Peter Morse. 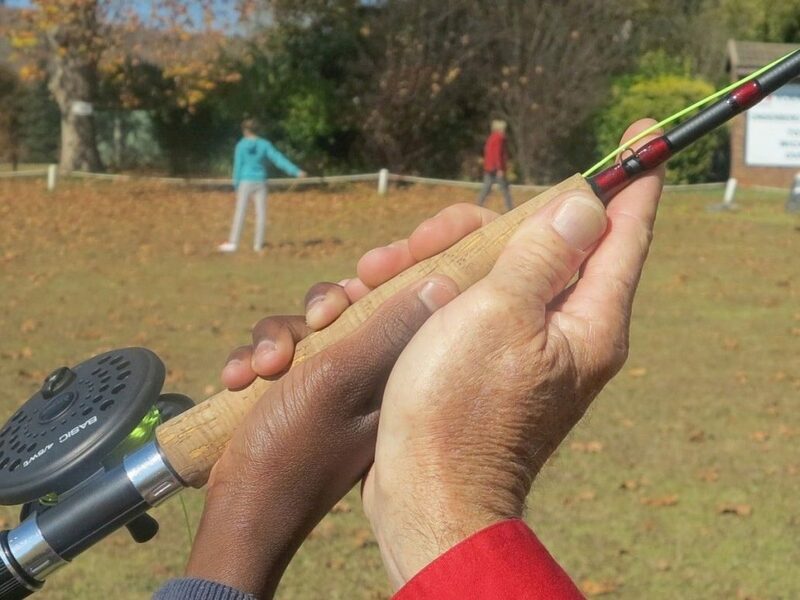 1.30pm – 2pm: Scientific Anglers fly lines. Cast further, less false casts and never clean your lines. Andrew Summers. 2.15pm – 3pm: Fishing Tasmanian rivers – Tips from Australian champions – Christopher Bassano and Martin Droz. 3.15pm – 4pm: The new Sage rods explained – Peter Morse. 4pm – 5pm: Drinks in the garden – sponsored by Flylife. Relax and chat with the industry experts. Proceeds to the Fish Habitat Improvement Fund. NO BOOKING required. 10am – 10.45am: Club fly tying demonstrations. 10.45am-11am: Distance casting tips with Peter Hayes. 11am – 11.45am: Trout Spey and Switch casting with Simon Gawesworth. 11am – 11.45pm: Casting styles – What suits you – with Peter Morse. 1pm – 3pm: The Veniard Challenge. Clubs tying for glory. 1.15pm – 2pm: Casting styles – How different styles suit you and where you fish – with Peter Morse. 1.30 – 2pm: Scientific Anglers fly lines. Cast further, less false casts and never clean your lines. 2pm – 3pm: Fishing Tasmanian rivers – Tips from Australian champions. A big thanks to everyone who came along to the Tasmanian Fly Fishing Expo this weekend! With a bit of help from the beautiful weather, it was a great success. 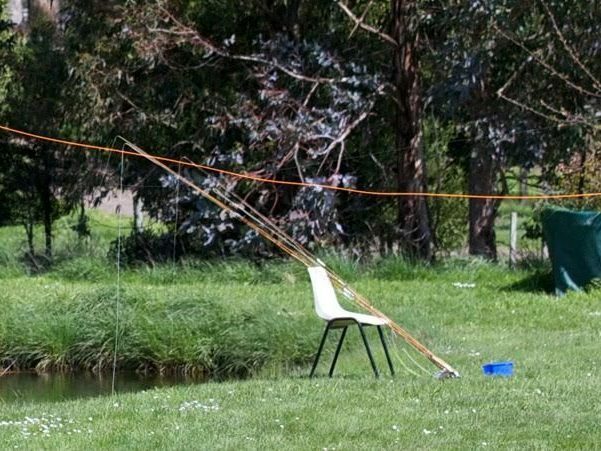 Tasmania’s fish population best be on guard…there are plenty of anglers out there who have dramatically upskilled thanks to the help from our awesome instructors and presenters! Everyone’s support of the event was greatly appreciated. All thanks to the talented Brad Harris for the great photo. LAMSON WATERWORKS LOON OUTDOORS Martin Droz PRIMAL ROD CO.